Reliance Jio Infocomm, part of India's richest person Mukesh Ambani led Reliance Industries group,will also launch its 4G services towards the end of the year. The country's second-largest mobile operator said testing of 4G services has commenced successfully and it has partnered with leading global technology infrastructure service providers for the network rollout. 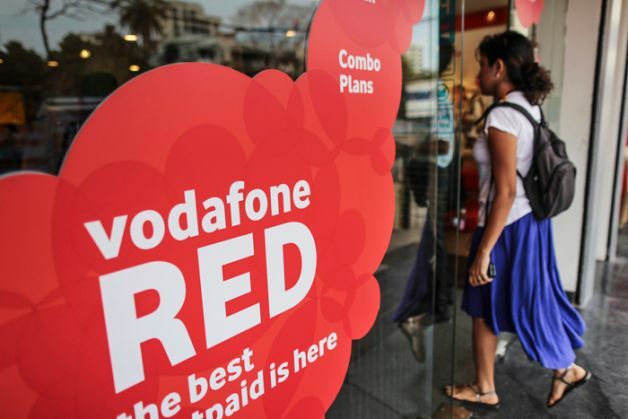 "Vodafone India confirms that it will launch its 4G services by the end of the calendar year 2015. Important data markets, including Mumbai, Delhi, Kolkata, Bengaluru and Kochi, will be part of the first wave of the rollout," the company said in a statement. The company also said its pan-India 4G services will also be launched at an appropriate time though it did not mention the timeline. "Given the expertise and experience of launching in so many global markets, Vodafone understands the needs of the 4G customer and is well positioned to launch 4G pan-India at an appropriate time," it said. Bharti Airtel on August 6 announced launch of its 4G mobile phone services to cover nearly 300 towns in coming weeks. The launch came ahead of Reliance Jio starting 4G voice and data services in December. Vodafone will also roll out its own 3G network in 7 circles of Assam, the North-East, UP West, Rajasthan, Karnataka, Kerala and Odisha, to expand its overall 3G footprint to 16 circles across the country. Vodafone earlier had 3G intra-circle roaming arrangements with other operators to offer services in these circles. The company had acquired 4G (LTE) spectrum in 5 circles -- Mumbai, Delhi, Kolkata, Kerala and Karnataka -- in February 2014 auctions. These circles together contribute close to 50 per cent of the total data revenues for Vodafone India. Globally, Vodafone has launched 4G in 18 countries. There are over 20 million 4G customers across the group and its 4G propositions are enhanced with a mixture of music, sports and TV content to increase adoption and usage. The company said in FY14-15 that it had rolled out over 23,000 sites, taking its overall network footprint to more than 1,31,000 sites. "Over the last few months, Vodafone India has taken several steps to modernise its radio network and switching systems. Charging platforms have also been upgraded to facilitate a wider bouquet of products and services," it added. The company said major investments have been made in high capacity fibre/backhaul to significantly increase the Internet connectivity to the rest of the world.